This page contains the following information about the QR code labels required for Afero products. You will need this information in the prototyping and manufacturing processes. A customer-visible QR code label on the product, described further in Large QR code Label below. A smaller QR code label on the PCB, described further in Small QR Code Label, also below. During product onboarding, customers scan the QR code label using the Afero mobile app. This adds the customer’s smart device to the customer’s Afero account, and the product icon and name appear on the Home screen of the mobile app as an entry point for device control. Must be easily visible and in an area on the product with good lighting (no shadows). Contains by default the QR code and Association ID. Any additional label text/images can be pre-printed by the label manufacturer. The black QR code and Association ID are device-specific and are printed after the factory programming script runs, and after the small QR code is scanned. Dimensions are 1.0 x 0.5 inches. Contains by default the QR code, Association ID, Device ID, and FCC ID. Placement on the module assists with the manufacturing flow. Serves as a backup identifier if the larger label has an issue. 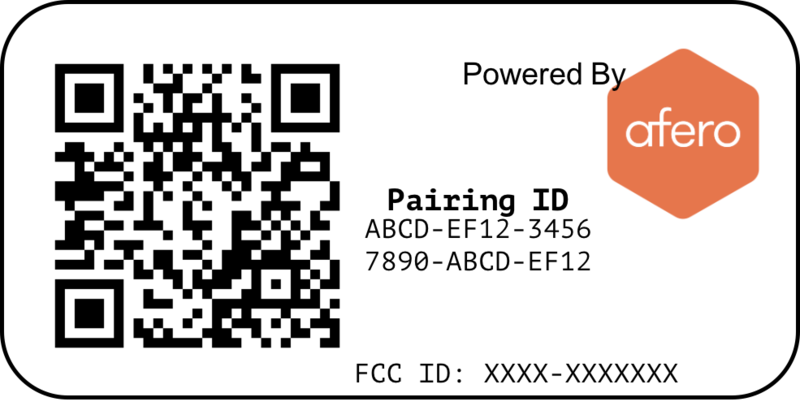 The Afero Factory Programmer (AFP2) prints both the large and small QR code labels. The small QR code label is printed as part of the PCB factory programming. The large QR code label is printed in a later step, when running the label printing script. The Afero Factory Test verifies that the QR code labels are printed correctly. Both labels must be designed to adhere very well to the PCB and product body. The label sizes identified in the sections above are standard sizes selected for cost savings reasons. Any changes from Afero standard requires writing updated Zebra printer language for the new label layout/size. Read the next section, Customizing the Label for Printing, for details. 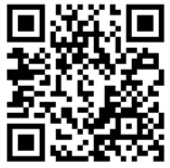 For more technical details of our QR codes, read the section below, Generating QR Codes for Afero Products. The AFP2 package includes .json files that define the elements of the QR code plus text label. The reference code in these files is compatible with Zebra printers (ZPL format) and is commented for ease of use. Unless explicitly instructed otherwise, assume you will be generating the latest QR code version. There is a colon delimiter character (:) between each piece of information. We will refer to these three pieces of information (including the delimiters) as the “Payload”. (4 bits) HEXIDECIMAL 1 1 The only valid Payload Version Number is 1. Other values are reserved for future use and are not valid. QR Code Version	 3 Version 3 QR codes are 29x29 modules in size. Error Correction Q Quartile-level error correction allows for 25% of the codewords to be restored. Input Mode Alphanumeric Supports all hex-encoded characters (0-9, A-F) as well as the colon (:) delimiter. QR Code Minimum Print Dimensions (excluding border) 17.19 x 17.19mm The minimum printed dimensions ensures high-reliability scanning by a variety of smartphone cameras in differing light conditions. 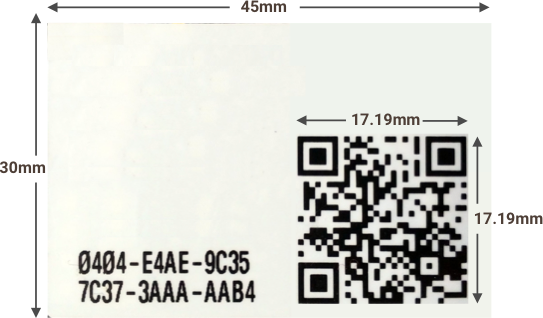 The minimum dimensions of 17.19mm2 has a size of 0.593mm2 per module within the QR code. Minimum QR Border Thickness 0.593mm Best practice is to leave a border around the QR code that is at least one module thick. In the case of a QR code that is 17.19mm2, each module within the QR code is 0.593mm2; therefore, the minimum border thickness around the QR code should also be 0.593mm. In addition to a QR code (containing the Payload) each label is also required to contain a plain-text version of the Association ID. This can be used for manual-entry by a user in the case that the QR code is unusable (e.g., QR code is damaged, camera on phone is not working). The plain-text ID consists of the 24 characters of the hex-encoded Association ID broken up into six distinct four-character blocks. Each character block is separated by a hyphen. Font Type: Monospaced (such as Consolas or Courier) for all Association ID characters. A proportional font (such as Times New Roman) may be used for the hyphens. Older ASR-1 modules use a QR code that encodes only one piece of information: the ASR-1 Association ID. Every label must include the following two pieces of information: 1) the QR code, and 2) a plain-text version of the Association ID. 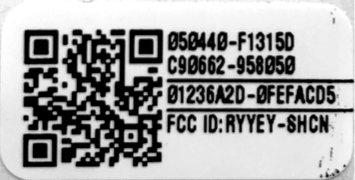 The code can optionally include other information, such as an FCC ID. Plain-Text Association ID The plain-text Association ID is used for manual-entry of the Association ID by a user in the case that the QR code is unusable (e.g., QR code is damaged, camera on phone is not working). The plain-text Association ID consists of the 12 characters of the hex-encoded Association ID broken into three distinct four-character blocks. Each character block is separated by a hyphen.